I’ve finally finished the quilt top! Yeah!! The batting has been ordered and now i’ve got to gather the remaining supplies – I’m having problems with finding king size sheets for the backing that are not poly blends. I know they are easier to iron but when i’ve made an effort to source mostly cotton fabrics for the quilt top and the batting is bamboo, I think it would be a shame if the backing wasn’t pure cotton either. 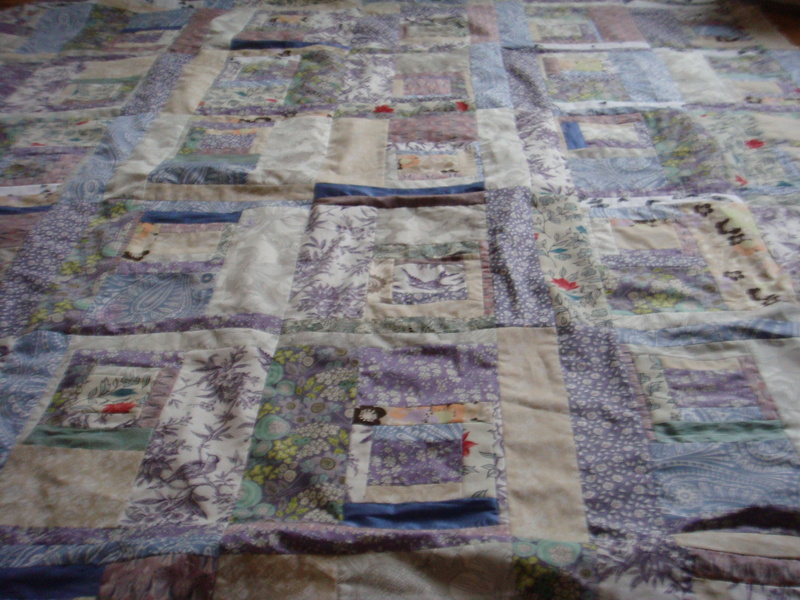 I was thinking that I might have to hand quilt this monster of a quilt, however whilst googling I came across a video on how to quilt large quilts with a domestic sewing machine! Although, I may have to practice this free motion malarkey first… And if it is to impractical, I will resort to the traditional way. Thanks Anne! I will definitely look that up! Cheeky! I’ll have you know it’s been 9 months! !